POETRY CONTEST: Poetry Out Loud is a recitation program and competition that urges the teaching of poetry as an oral art form in high schools. 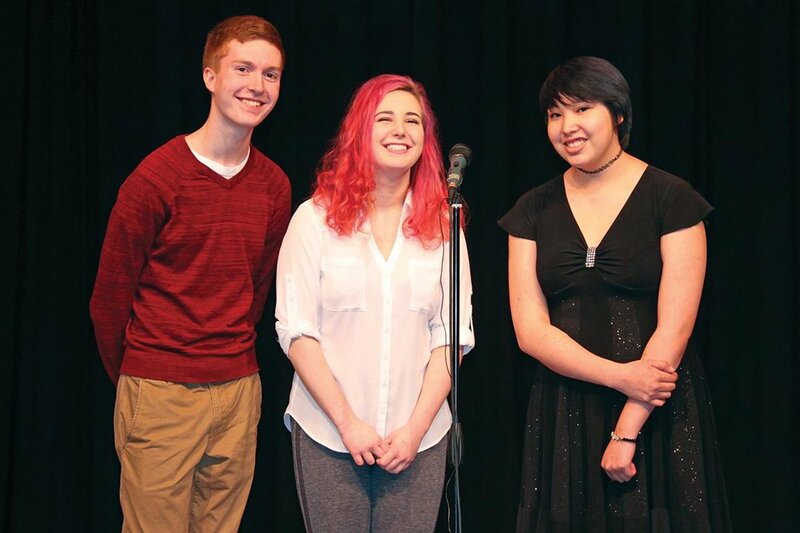 Schools that participate in Poetry Out Loud enter students into a preliminary round, from which the state finalists are chosen. 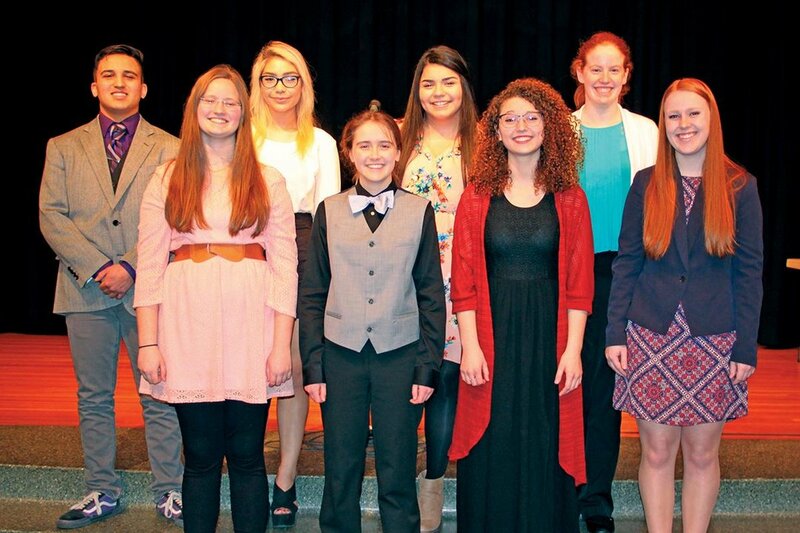 Eight South Dakota high school students from across the state shared their talents and the work of great poets as they competed for the state title at the Poetry Out Loud recitation contest. 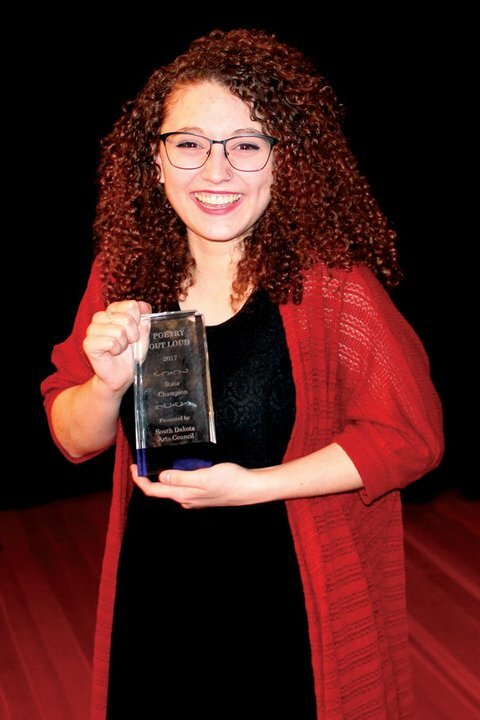 Maddie Lukomski, a Lincoln High School senior from Sioux Falls, won the Poetry Out Loud state finals March 13 in Sioux Falls and will represent South Dakota at the Poetry Out Loud National Finals in Washington, D.C., April 24-26. 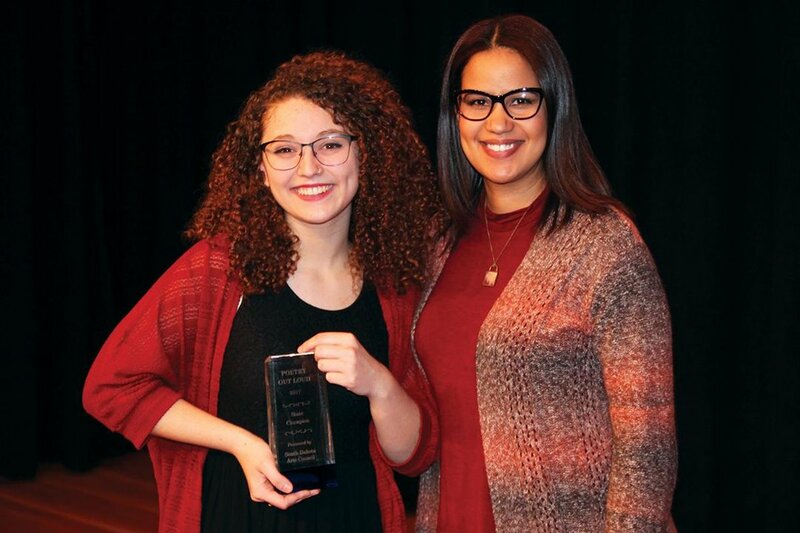 In addition to the trip to the National Finals, Lukomski also won a $200 cash award, a $300 Barnes and Noble gift card, a Shakespeare anthology, and her school library will receive $500 to be used for the purchase of poetry books. Eight students from high schools across South Dakota competed for the title. 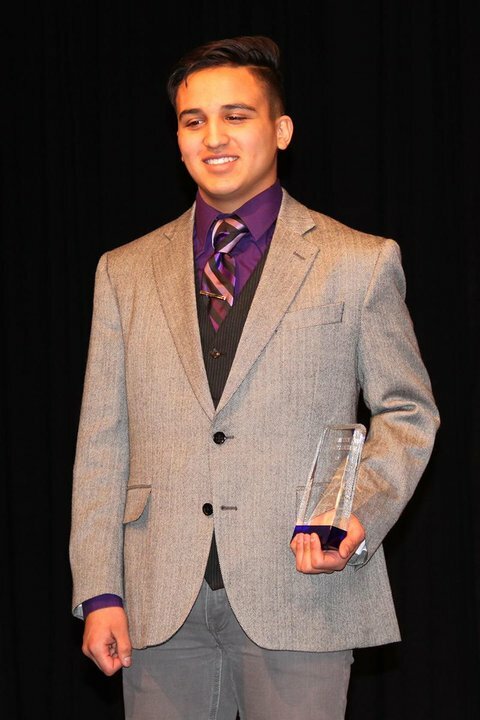 Gabriel Pulliam-Sanchez, a student at Little Wound High School in Kyle was the state runner-up. Pulliam-Sanchez was awarded $100 cash, a $150 Barnes & Noble gift card, a poetry anthology, and his school will receive $200 for the purchase of poetry books. 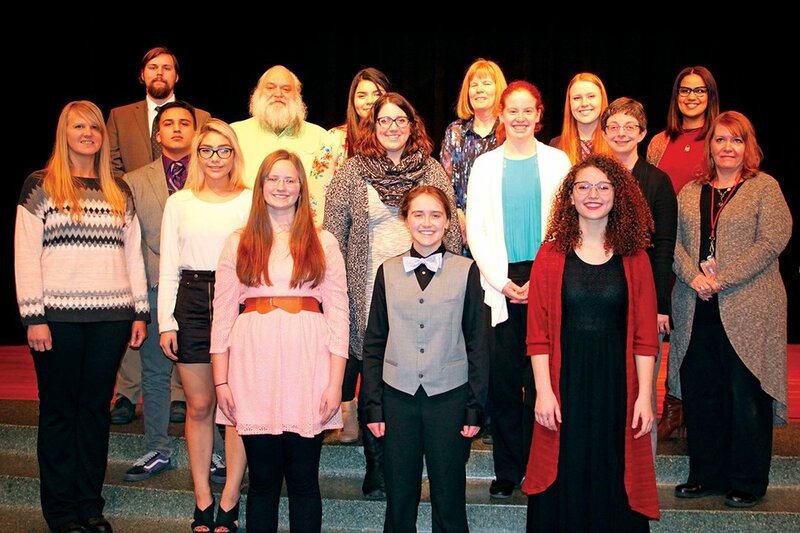 The following students received poetry anthologies for qualifying as state finalists, but the remaining scores were not ranked: Jennifer Sundermeyer, Flandreau High School; Elizabeth Ocegueda, Harrisburg High School; Marie McLaughlin, Greater Sioux Falls Homeschool Association; Shaina Determan, Hanson High School; Jane Walsh, Washington High School and McKayla Kludt, Watertown High School. 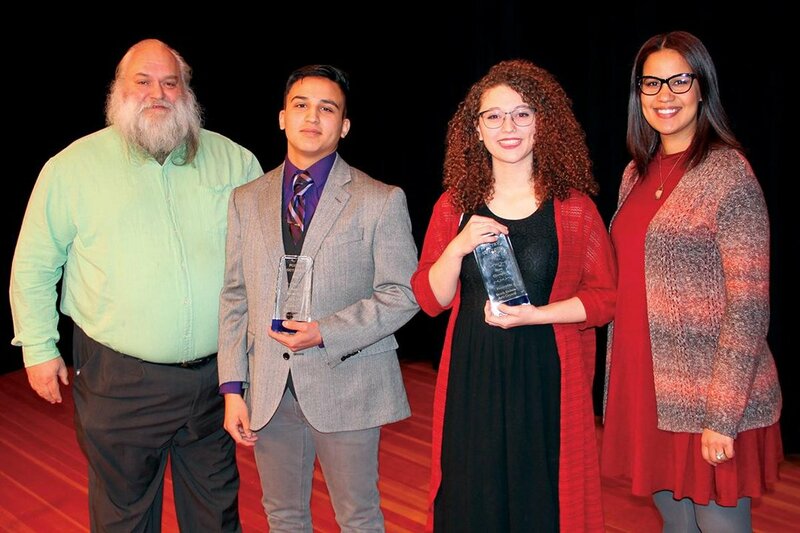 Libby Murphy, Lincoln High School; Rosie Little Whiteman, Little Wound High School; and Ethan Tasa, Sisseton High School, were awarded for their original poems in a separate component of the competition. Each received $100. Two teachers were also awarded for their efforts in and out of the classroom as Poetry Out Loud coaches. 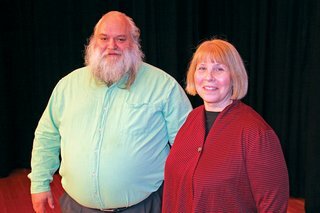 Sharon Prendergast, Sisseton High School, was awarded the South Dakota Poetry Out Loud Teacher of the Year award and received $500. 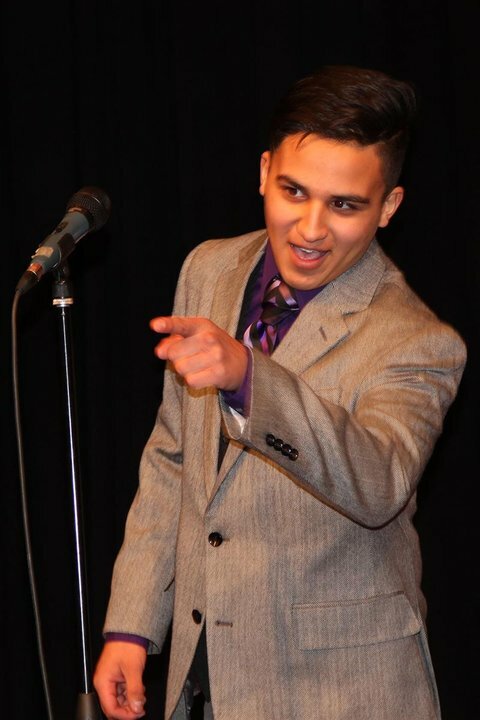 Daniel Snethen, Little Wound High School, was the runner-up and received $250. 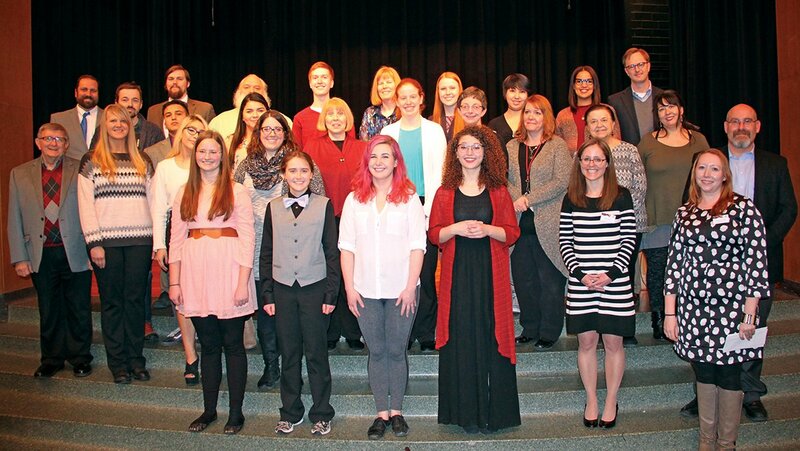 Poetry Out Loud is a recitation program and competition that urges the teaching of poetry as an oral art form in high schools. Schools that participate in Poetry Out Loud enter students into a preliminary round, from which the state finalists are chosen. 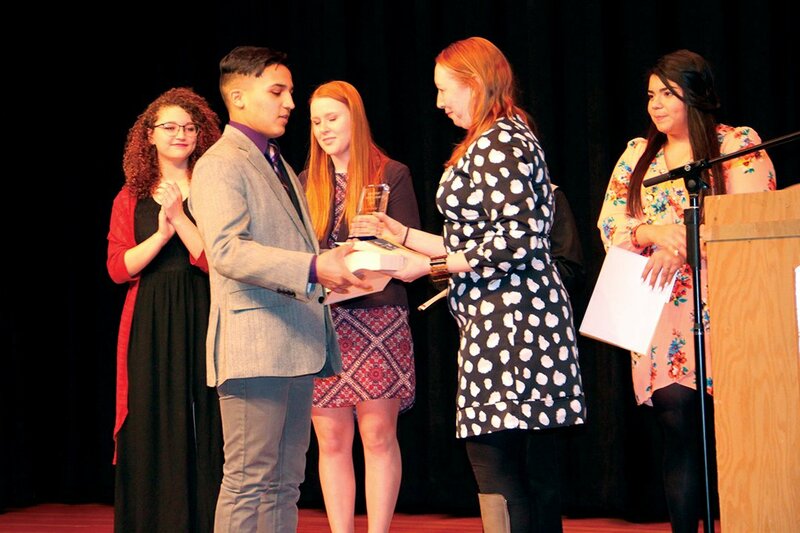 Poetry Out Loud was created in partnership by the National Endowment for the Arts and the Poetry Foundation, with the collaboration of State Arts Agencies. 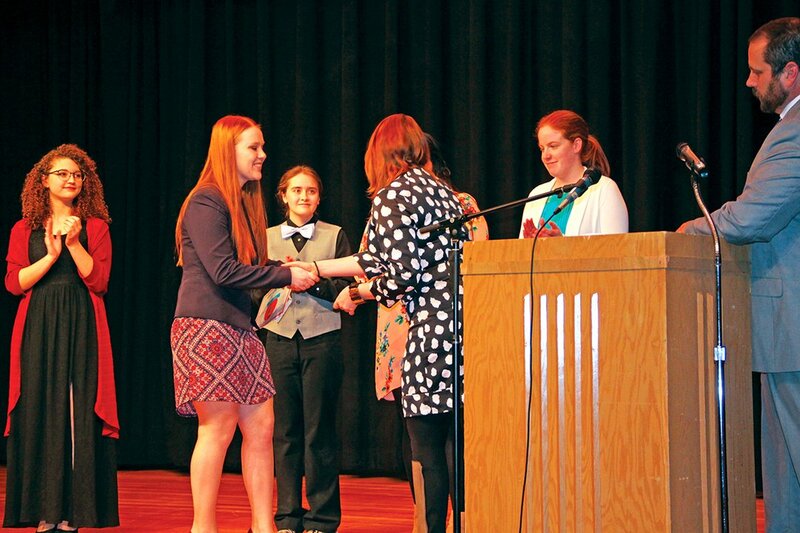 Through Poetry Out Loud, students master public-speaking skills, build self-confidence, and learn about their literary heritage. In South Dakota, POL is a program administered by the South Dakota Arts Council, an office of the state Department of Tourism, in partnership with Arts South Dakota and South Dakota Public Broadcasting. Contact Rebecca Cruse, Assistant Director South Dakota Arts Council, at (605)773-3301 or sdac@state.sd.us if you would like to participate or learn more about this contest. 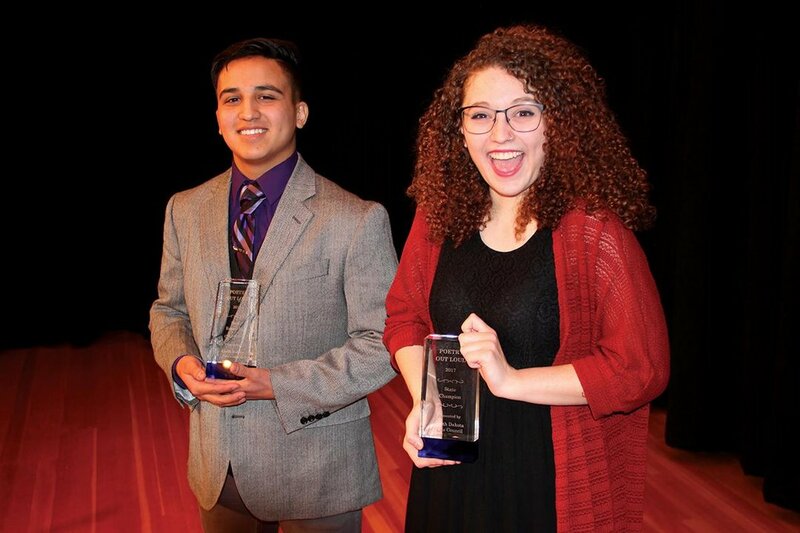 Poetry Out Loud curriculum materials include the online poetry anthology, a comprehensive teacher's guide, video of the National Finals performances, lesson plans, and promotional and media guides. Hard copies of materials are free for teachers participating in the official program.